The Cavapoo is a cross between the Poodle and the Cavalier King Charles Spaniel. It would be difficult for a Cavapoo not to be charming. Both the parent dogs are sociable, affectionate, and playful. Cavapoos generally weigh 12 to 25 pounds, making them a comfortable size for most homes. They are not necessarily the best watchdogs, but they are likely to greet visitors and intruders alike with a smile. They have the potential to be highly trainable, although some may prefer to just sit on your lap. They are fun-loving and can be good playmates for older children. Younger children should be monitored when they’re playing with a Cavapoo. Even though he’s pretty strong, they could hurt him if they accidentally hit or fall on him. Their activity level is moderate and can be adapted to their owner’s lifestyle. They need a good walk or active indoor playtime each day. They are good at playing fetch and will chase a ball endlessly. They tend to be smart and can learn quickly. Begin training and socialization early and keep the sessions short and fun. Cavapoo puppies are adorable, and it’s one of the reasons they are so popular. Cavapoo is an affectionate, friendly, and loyal companion. What Price are Cavapoo Puppies? The price of Cavapoo puppies is anywhere between $1,200 and $1,800. 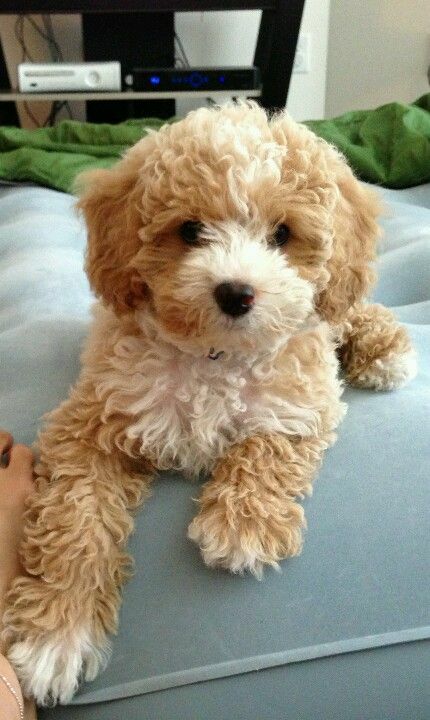 How to Find Reputable Cavapoo Breeders? Ask your vet, visit dog shows, or contact local breed clubs to get recommendations on good local dog breeders. If you know anyone with a fabulous dog, ask them which breeder they bought it from. Talk to several breeders so that you get an idea about what separates the dedicated breeder from the ones that are only in it for the money. There are also questions that you can ask that will help you determine good and bad breeders. The puppies should be staying with the family inside the house. A puppy who’s raised with the family will grow up friendly and calm. When he’s isolated from humans in a backyard, garage, or basement, he is more likely to wind up shy or aggressive. Puppies should spend time with different people so that they’ll grow up to be relaxed and friendly around humans. The parent dogs also give you better insight into what your puppy’s personality will be like. A nice, calm, and well-behaved parent dog is always a good sign. A good breeder should have just one or two litters a year to give them the care and handling they need. The breeder should also offer health clearances and documentation that the parent and grandparent dogs were tested for hereditary problems. They should also be happy to give you references. Even better, they’ll refer you to other breeders as well as customers. The breeder should ask you lots of questions. This shows they want to know exactly what kind of home their puppies are going to. 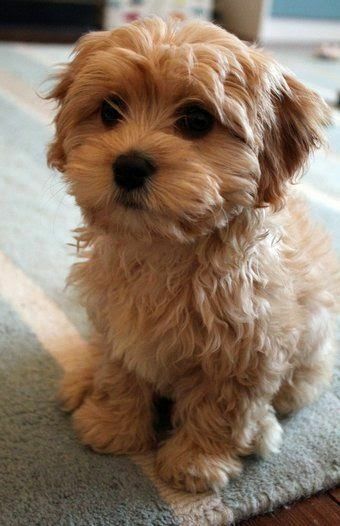 The Cavapoo is also known as Cavadoodle, Cavoo, or Cavoodle. The main goal in creating the Cavapoo is to create a hypoallergenic dog since the Poodle and the Cavalier King Charles Spaniel are dog breeds with a lower propensity for triggering allergies. Breeders first started this crossbreed in the 1950s in the US. Cavapoo is a sweet-natured canine. With his large, adorable eyes, the Cavapoo is a small dog with physical features that may resemble either the Poodle or the Cavalier King Charles Spaniel. Depending on the size of his Poodle parent, the Cavapoo’s size will differ accordingly. Cavapoos may have a wavy or silky coat that can come in different colors, like chestnut, gold, black, white, chestnut and white, and black, white, and tan. Cavapoos have long, floppy ears, and a round face. Although they were initially created to have a hypoallergenic, low-shed coat, not all Cavapoos are so, with some actually shedding more than their parents. Cavapoos are considered a low-maintenance crossbreed. A weekly brush will keep their coat healthy and shiny and prevent knots. They also have a tendency for having tear stains, which should be cleaned with a damp cloth when needed. Teeth brushing, ear cleaning, and nail clippings up the rest of a Cavapoo’s grooming routine. How Big is a Full-Grown Cavapoo? The Cavapoo’s size usually varies between 11 and 14 inches for the Toy Cavapoo and between12 and 16 inches for the Miniature Cavapoo. Their weight ranges from 11 to 22 lbs. What is the Life Expectancy of the Cavapoo? The life expectancy of the Cavapoo is 10 to 15 years. Cavapoo is a highly adaptable toy breed. 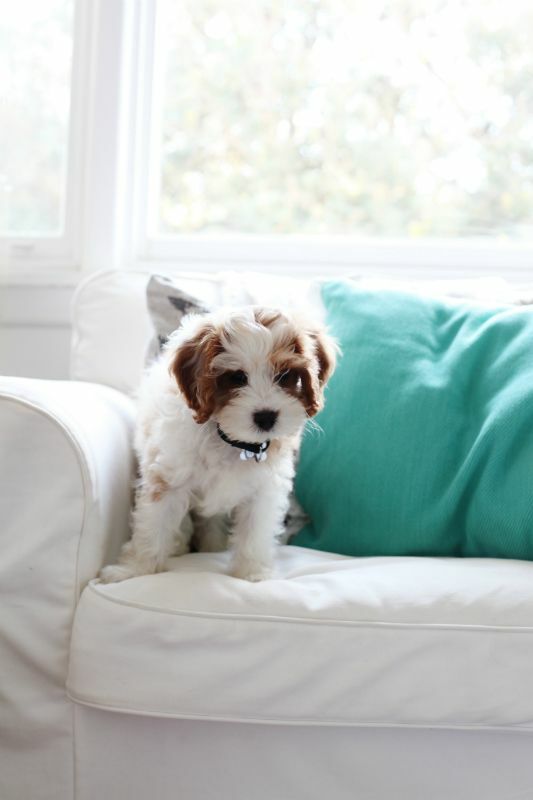 The Cavapoo is known for his exceptional temperament, which makes him a great family pet. He’s extremely friendly and sweet, getting along well with children and pets. Having little prey drive, he’s an ideal dog for sharing a home with other furry pets. Intelligent and people-oriented, the Cavapoo is a great choice for first-time dog owners because he’s adaptable and easy to handle. Because he is so fond of people, he may develop separation anxiety when left alone, which should be tackled early from puppyhood. Training, with positive reinforcement and gentle treatment, will help raise a healthy, well-rounded dog. Despite his short attention span, the Cavapoo is generally easy to train, as long as consistency is kept. Housetraining may be more difficult, typically requiring more time than other dogs usually do. Loyal, social, and kind, the Cavapoo also makes a good therapy dog. He’s also a good watchdog, making sure his owner is warned of any incoming visitor. The Cavapoo can eat almost anything, but that doesn’t mean that you should neglect his nutrition. It should also not contain harmful meat chemicals. If you are feeding your dog a human diet, remember that raw meat may contain E-Coli, bacteria which cause poisoning. Chicken, beef, or other meat that has gone through processing will suit your Cavapoo. Never give your Cavapoo food with generic animal fat. Healthy fat comes from fish oil, chicken fat, and beef fat. He needs lots of meat-based protein. That should come from lean beef, turkey, lamb, chicken, or deer. Remember that your Cavapoo should eat a diet that is 75% protein to fat. Too much fat in his diet may lead to obesity and liver problems. Other owners may have told you that food for people is not suitable for dogs. However, some of it may serve as excellent treats. Chicken is a healthy and delicious meal to serve him. Both cooked and raw chicken are safe, but never feed him chicken bones. Cheese is another treat that will not compromise you’re his well-being. It contains protein and calcium, two nutrients that your Cavapoo needs for healthy development. You may feed your dog carrots as well. They are low in calories but high in vitamin A. Dogs, like humans, can get bored eating the same thing all the time. Try to give your Cavapoo a variety of fruits. How Much Exercise Does a Cavapoo Need? Cavapoos require moderate exercise. They are a small breed and do not require high physical activity. Nevertheless, they need at least one long walk each day. While a short morning walk will suffice, a longer, more interesting walk in the afternoon, with some level of physical and mental stimulation, will keep them healthy and alert. These dogs also like to roam around a back garden as often as possible so that they can really let off steam. However, the fence needs to be extremely secure to keep them in. If they discover a weakness in your fence, they will try to escape and get into all kinds of trouble. The Cavapoo, like other mixed breeds, is known to suffer from hereditary health conditions that usually affect their parent breeds. These include syringomyelia, mitral valve disease, cataracts, hip dysplasia, luxating patella, progressive retinal atrophy, entropion, distichiasis, urolithiasis, cryptorchidism, and tracheal collapse. The Cavapoo is known for being affectionate, friendly, and loyal companions and family pets. He is known for being extremely sweet-natured, which means he gets on with everyone and everything. He becomes totally devoted to his family, loving nothing more than to be part of a household and involved in everything that goes on in the home. The Cavapooi s an all-round, highly adaptable small dog and one that fits in with most lifestyles with no trouble. The only downside to owning a Cavapoo is that he craves human company. He hates to be alone. He is happiest when he lives in a household where one person usually stays at home when everyone else is out. If left to his own devices for long periods of time, he can quickly develop unwanted behavioral issues which can be hard to correct.